On-Budget Children’s Formals: Girls Dresses, Boys Suits, Baptism Gowns + Direct to Ottawa! Ottawa’s Kids Clothing Boutique Serving Families for 30 Years! Shop our children’s formal boutique today! Offering Ottawa parents everything to outfit their little ones for Baptism, Holy Communion,Weddings or any formal party event. Looking for a wonderful Baptismal gown or outfit? Is it time for First Holy Communion and need that perfect suit or dress? Outfitting the wedding party and looking for a perfect flower girl dress? We have them all along with all the accessories to make your child the star of the party! Affordable and high quality clothing is our promise to you, and we stand behind all the wonderful children’s wear we sell. After all, your little darling deserves the very best! Avoid the hassle of going shop to shop, and forget about the big price and small selection of kids formals at departments stores. Our shop carries hundreds of outfits at better prices – that you can shop with a few clicks 24/7 online. In Ottawa and surrounding areas including Hull, Kingston or anywhere in Ontario you can buy confidently and securely from our online shop. Need help? We’re just a call or click away, too! Grandma’s Little Darlings services Ottawa region with fast order processing times and because we ship from within Ontario, order transit times are super fast! Find out why we might not only be Canada’s oldest children’s formal wear shop, but the best! Shop Ottawa’s Choice for Baptism Gowns, First Communion Outfits, Girls Party Dresses and Kids Formal Fashions! 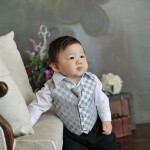 Our kids formal wear is for everyone! Whether you’re on a tight budget or simply want the best, you’ll find it all at the best value. From baptism outfits to Whether you’re proud new parents celebrating your girls or boys baptism, or looking for a perfect First Holy Communion dress or boys suit, we’ll be happy to help you select clothing that fits well and looks great! Looking for a perfect trendy or traditional flower girl dress? – Your child may just outshine the bride! Shop gorgeous little girl dresses and don’t forget to accessorize! Ottawa Loves our Children’s Formal Fashions & Fast, Friendly Service! Customers across Canada shop Grandma’s Little Darlings and we’re thrilled to serve cities throughout Greater Ottawa from right here in Oakville, Ontario! That means if you’re short on time you can contact us for advice on the perfect in-stock outfit for your child that will arrive on time and at a great price to your home. That’s service! Our customers in Ottawa trust Grandma’s Little darlings to deliver quality every time – on time!